Attic red-figure plate with Athena, Oltos Painter, 520–510 BC. Terracotta. © Staatliche Museen zu Berlin, Antikensammlung, Inv. no. F 2313. Photographer Johannes Laurentius. LEGO®, the LEGO logo, DUPLO, the Brick and Knob configuration, and the Minifigure are trademarks of The LEGO Group which does not sponsor, authorize or endorse this building event. Use this mini tour and activity guide to discover the treasures of ancient Greece and Rome through looking and drawing activities. For kids ages 6 to 12. Available at the audio desk in English and French. Check out an exciting series of Olympus viewports for kids and adults. 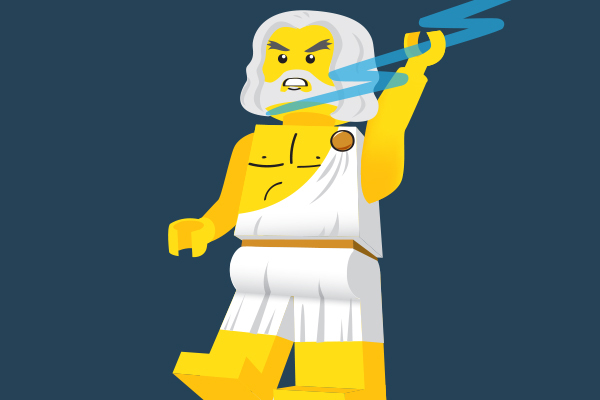 Marvel as myths from ancient Greek vases come to life before your eyes in animations and explore impressive panoramas of ancient times, re-created by the Manitoba LEGO Users Group. Animation: Steve K Simmons, panoply.org.uk.